In the previous century, photography helped shape art; in the current one, it has begun to dominate it. Not only are major international museums and galleries mounting blockbuster exhibitions, but art photographers are also being celebrated as contemporary masters and their work commands unprecedented prices. This indispensable survey presents the work of 76 of the most important and best-known art photographers in the world: Andreas Gursky, Thomas Struth, Cindy Sherman, Jeff Wall, Sophie Calle, Wolfgang Tillmans, Nan Goldin, Martin Parr, Allan Sekula, Boris Mikhailov, Inez van Lamsweerde, Stephen Meisel, Philip-Lorca diCorcia, Sam Taylor-Wood, and many more are featured in its pages. 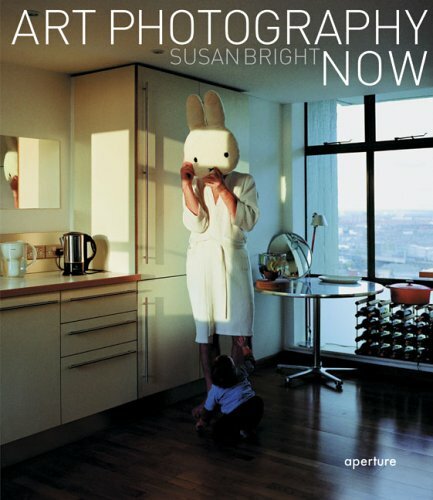 Susan Bright, former Curator of Photographs at London’s National Portrait Gallery, has organized the book into seven sections-City, Portrait, Document, Object, Landscape, Fashion, and Narrative-and provides an introductory essay for each. Along with each photographer’s works, presented in sequence within those divisions, Bright’s commentaries provide context and depth, and quotations from the artists themselves offer valuable insights into the motivation, inspiration, and intentions behind the work. Following in the tradition of Photography Past/Forward: Aperture at 50 and the Photography Speaks series, this volume will become an essential resource for curators, collectors, scholars, practitioners, and anyone who wants comprehensive, up-to-date exposure to the state of the medium today.